Join us for this special event, in a very special year and help raise funds for the RAF100 Appeal. 25/7/18 - Please note that places for the Cosford and London Spitfire 10K are now fully booked. 21/08/2018 - New Pixels Events Photography will be attending the event and photographing runners in action on the course and at the finish line. Photographs will be made available within 48 hours after the event and can be searched and purchased via your Race Number at www.newpixelsevents.co.uk. 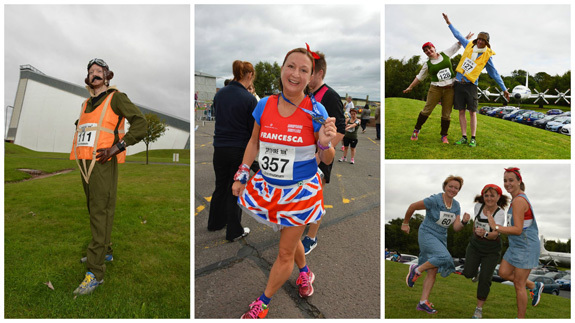 Following the sell-out 2017 Spitfire 10K we are offering an increased capacity for up to 1200 runners to take part in the 2018 Spitfire 10K in the unusual setting and magnificent surroundings of the RAF Museum Cosford. The 2018 Spitfire 10K begins outside Hangar One, taking runners around the Museum site, past several iconic aircraft, before entering the RAF Cosford airfield! During this gently undulating course you will get to run up and down the runway! At the end of the race you will be awarded with an exclusive Spitfire 10K medal, which will be extra special for 2018 as this will be the centenary of the Royal Air Force. Entry to the Museum is free of charge and runners, spectators and supporters are encouraged to explore the site on race day. 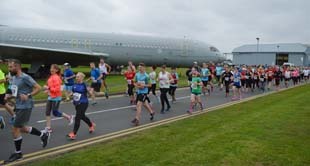 Please note that access onto the airfield and runway are for runners only, spectators will not be able access this area. For 2018 we will also be holding the Spitfire Family Run. This gentle run will follow a shorter race route in the Museum grounds. Each registered runner will receive a special medal upon completion. The race is suitable for all ages, but children under 16 years must be accompanied by an adult. Please note that only paying participants will be awarded a medal. All runners to be 15 years and older – under 16’s to be accompanied by an adult. This race is suitable for all ages and is a distance of approx. 1K. Children under 16 years must be accompanied by an adult. Please note that only paying participants will be awarded a medal. All online entries include a 50p booking fee. 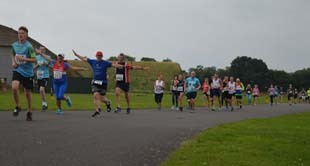 The Spitfire 10K will take place in both London and Cosford sites and will form part of a series of events taking place across the country celebrating and commemorating the history and achievements of the Royal Air Force and inspiring young people. It is also an opportunity to raise vital funds for the RAF100 Appeal, which is a joint venture between the Royal Air Force and the four major RAF charities – the Royal Air Force Benevolent Fund, the Royal Air Forces Association, the Royal Air Force Charitable Trust and the Royal Air Force Museum. The aim of the Appeal is to raise money for the RAF family and to create a lasting legacy as we celebrate 100 years of the Royal Air Force in 2018. 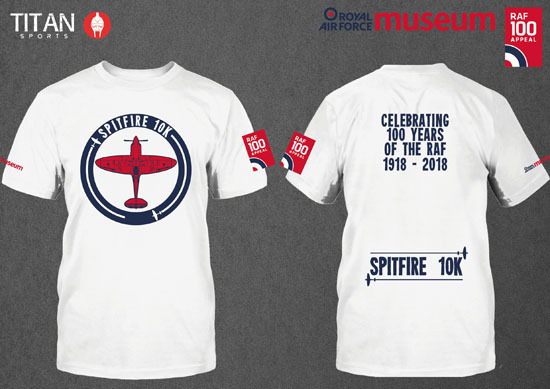 Please click here for details of how you can help raise sponsorship for the Spitfire 10K, and help ensure the story of the RAF is told for future generations. The Spitfire family run is at 9:15am and the Spitfire 10K will take place at 10.00am on Sunday 2 September 2018. On site facilities include toilets, parking, free park and ride from Cosford railway station, bag drop, restaurant, 4D Experience, Fun ’n’ Flight interactive gallery and Museum Shop. For those of you who want an extra challenge entries are now open for our NEW 100K Spitfire Challenge! The virtual challenge begins on Sunday 1 April, the day the RAF was founded in 1918; you will have 100 days to undertake 100K. For more information please click here. If you have a questions related to the event please contact the public events team by calling 01902 376 252/224 or email us. If you have a question related to the race please contact Nice Work the Race Management Company. RAF100 Appeal is a registered charity in England and Wales 1167398.